Goodreads: At the age of nineteen, Seth Sileski had everything. A superb athlete and scholar, handsome and popular, he was the pride of Thunder Point. Destined for greatness, he lost it all in a terrible accident that put an end to his professional football career when it had barely begun. The people in his hometown have never forgotten what might have been. Kritters Thoughts: A part of a series that I have come to love and I anticipate every new episode in this fun town in Oregon that is just the perfection of small town. Each book centers around a different person in the town - usually a new move in and this one centers around Seth who is moving back to this town where he grew up and made some mistakes as a kid and will now be the new deputy and have to show the town and some certain people that he is a different man. Seth and Iris had an interesting story that was a little different from the others because it took the reader into a little history of the town through their friendship and high school days. Being a cop's wife, I thought this book would be right down my alley and I appreciated having a police officer as a central character, but this one just didn't live up to the ones before. 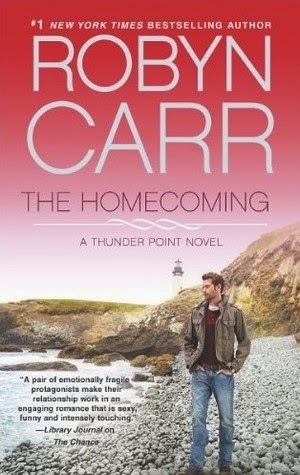 The thing I love from Robyn Carr is the sweeping love story and for some reason this one didn't quite sweep me off my feet. BUT if you have been reading this series, I would still read this one because you may need some of the back story for a future book. Although this book isn't my favorite in the series, it won't keep me from watching and waiting for the next one - The Wish (coming in February 2015! ).